Talk Tone Heal with Wah! 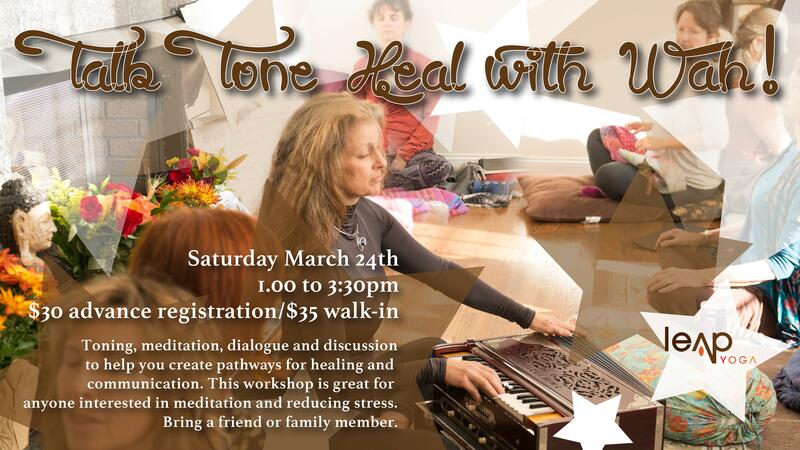 TALK TONE HEAL. Wah! introduces toning, meditation, dialogue and discussion to help you create pathways for healing and communication. This workshop is great for anyone interested in meditation and reducing stress. Bring a friend or family member, come alone, be together. You will leave relaxed and reconnected. We will do some chanting at the end of the workshop for those who want.